Winter hiatus is over and the boys are in trouble. Locked away in a secret prison, the pressure is on to save them before they are lost forever. And with surprising twists, the road is laid for more trouble to come. 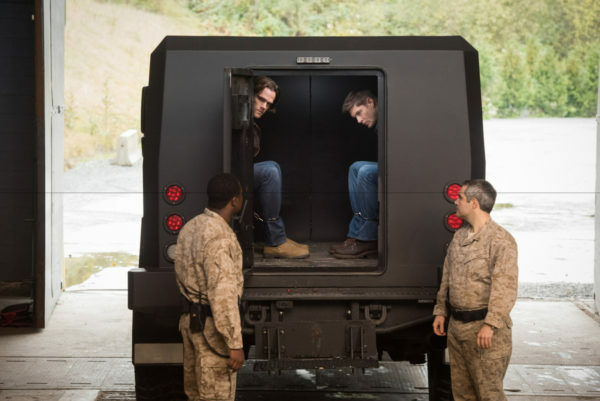 I still hold true to my assertion that the Winchesters should have taken off as soon as they freed the President from his possession. Yes, they would be on the run, but I feel like they could have done more good proving their innocence on the outside than staying around and being arrested for trying to assassinate the leader of the free world. But had they done that, this particular storyline might have been needlessly extended and we wouldn’t have had the lovely emotional turmoil of the episode. Rick Sanchez, the secret service agent, and Camp, the superior, made quite a dynamic team. While Sanchez had his own reasons for hating on the boys, I was particularly drawn to Camp and his tactics. He was scary in his understated way. They don’t have to torture the boys because silence and darkness for weeks, months, years will do the job for them. And seeing the boys try to deal with their isolation was great. I loved watching Dean marking off the days on the wall, though I knew they had to have something up their sleeves. Winchesters don’t stay locked up for long. 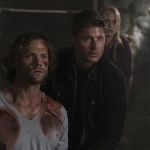 As we saw, the whole sacrificial nature of the Winchesters seems like a family trait. 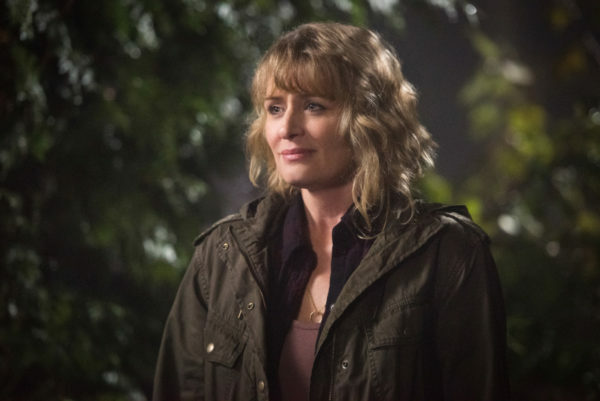 I figured that Dean and Sam made a deal with Billie to appear dead, since they were so convincing in their escape, but I have to wonder how they thought just one of them could die. They’ve proven again and again that one cannot live without the other, so thinking that one of them would continue the fight was not going to work. But they did what they had to do and then their mother did the only thing she could. Of course Mary would sacrifice herself for her boys. John first, then Mary — their boys will remain safe as long as their parents can make it so. 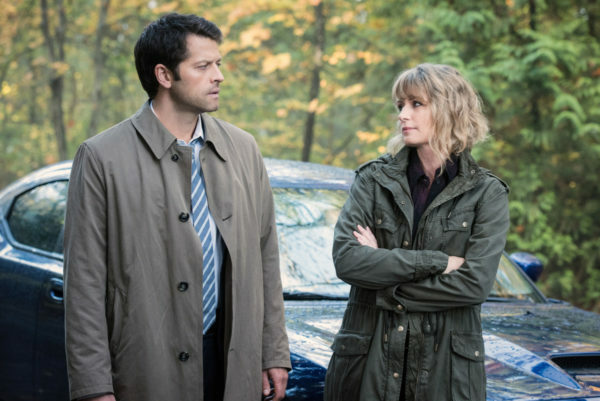 Then we have Cas, who surprised me more than usual. I am often frustrated with him and his purpose, because he seems to have been in a holding pattern for a while now. Following along behind the Winchesters, not really having a place in Heaven or on Earth, he lost what made him special. If he can’t be a powerful angel and he cannot be a flawed human, then he feels aimless. But in this episode he impressed me with his empowered speech. 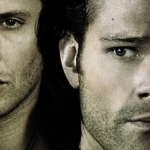 No more Winchesters will die, no more will sacrifice themselves, because the world needs them. And if that means Cas will have to cause cosmic destruction from breaking a blood bond, then he will do it. Oh, Cas. You might have found a new purpose after all. Finally, there was the whole British Men of Letters deal. 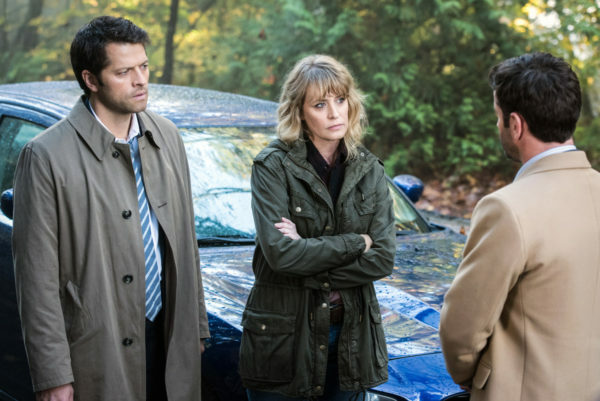 While it’s good for business for Mick and Mr. Ketch to help save the Winchesters, I’m sure Mary’s team-up will prove problematic for the family. How soon will it be when Mary must make a choice of following the Men of Letters’ wishes and following her boys’? However, I am definitely looking forward to more Mr. Ketch in the storyline. Leaving behind survivors means leaving behind witnesses, and that can lead to questions that should not be answered. Mr. Ketch knows that and he knows how to tie up loose ends. Plus, he looks good doing it. Many wonderful possibilities of the storylines to come. It’s exciting to think about how it will all come together and who might survive the battles. Come on, Winchesters, you can do this!